Genetic purity for Michigan pork? 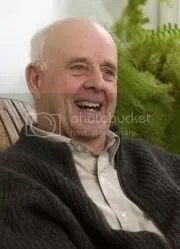 “The New Yorker magazines RAW DEAL article was so far more favorable to our right to have the foods we want in a major magazine, including raw milk but the details of the article are not so favorable. Everyone continues to argue bacteria. Bacteria is not the problem. Read it all on “We Want to Live”. “CHARLOTTE — The North Carolina Board of Dietetics/Nutrition is threatening to send a blogger to jail for recounting publicly his battle against diabetes and encouraging others to follow his lifestyle. 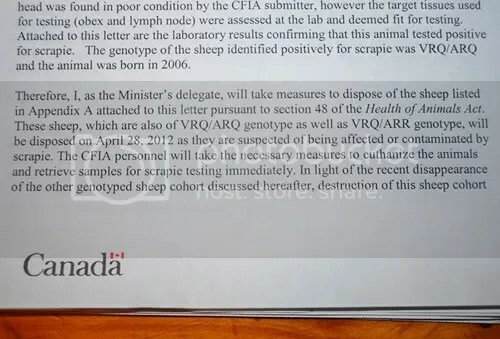 CFIA RAID on WHOLEARTH FARM!—Suddenly, at 7:15 PM tonight, four Canadian Food Inspection Agency (CFIA) officials arrived at Montana Jones farm with an Order of Destruction for 9 VRQ genotyped sheep. Proving once again that food issues are not just for farmers and foodies, here we have a crucial contemporary food concern (GMOs) given serious coverage in a mainstream, perhaps THE most mainstream fashion magazine of them all, Vogue. Does that mean the GMO issue is “in vogue”. Well, for all our sakes, let’s hope so. Movie star Scarlett Johansson -- the sort of thing you'd expect from Vogue. A serious story on GMOs, not so much.